Proudly offering car and truck seasonal maintenance, oil and grease jobs, and all fluid replacement throughout Edmonton, Sherwood Park and Fort McMurray. Park Muffler Radiator Brakes & Tires is a leading Edmonton automotive maintenance, oil and fluids service shop providing a variety of repair services for automotive filters and fluids. There are several filters in your vehicle that help to keep your vehicle operating at its peak performance, and extending the life of your engine through removing contaminants. The oil filters help prevent any contaminants and solids in the oil from leaching into the engine and causing loss of efficiency and eventual corrosion. The fuel filter protects the operation of your vehicle’s carburetor and fuel injection system from contaminants. Air filters help to remove dirt particles from the air, protecting the engine cylinders, pistons, and piston rings. The air filters also help maintain the proper functioning of the airflow sensor in your fuel injection system. Finally, the cabin filter keeps your ventilation and air conditioning free of harmful exhaust emissions and other air contaminants. Keeping all these filters clean and functional is an important part of vehicle maintenance, as clean and regularly flushed fluids and engine oil will extend the life of your engine components significantly. At Park Muffler, we want your vehicle to remain in top condition as long as possible. 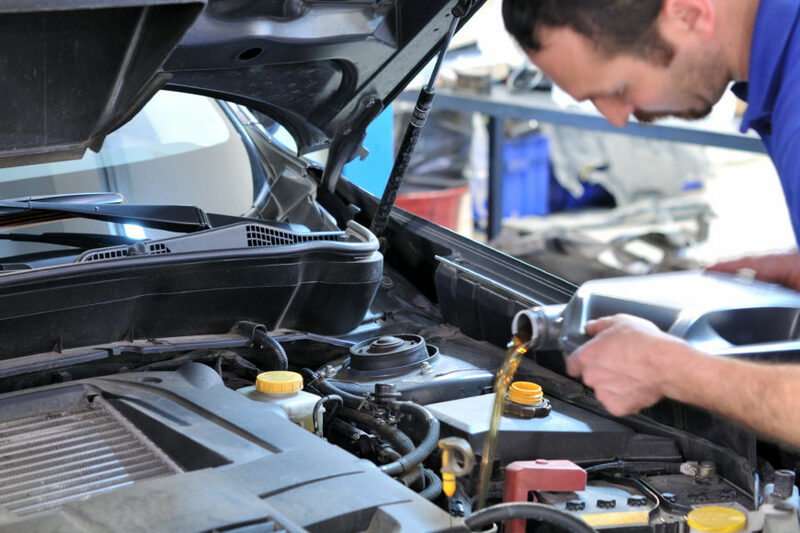 Our friendly team of highly-experienced auto mechanics will inspect the fluid level and condition of the engine oil, automatic transmission fluid, brake fluid, power steering fluid, washer fluid and coolant of your vehicle – if your vehicle is low on any of these fluids we will top them up at no extra cost. Conveniently located in Sherwood Park, Park Muffler Radiator Brakes & Tires has been locally owned and operated in Edmonton since 1979 – our number of satisfied and repeat customers speaks for itself. Bring your vehicle into our service centre for regular oil and fluid flushing and maintenance, and drive away with a fully inspected, serviced, and safe vehicle – armed with expert maintenance tips to keep it performing at its best for longer. Contact us today or bring your vehicle to our service centre for all fluid and oil flushing and seasonal maintenance work. When it comes to trouble free car care, few things are as important as fluids and engine oil. Bringing your vehicle in to Park Muffler regularly will give your car better mileage and a longer life, plus it will save you money by lowering your costs. Our technicians inspect the fluid level and condition of the engine oil, automatic transmission fluid, brake fluid, power steering fluid, washer fluid and coolant. Small amounts of these fluids are added at no extra cost. Bring your vehicle in to Park Muffler Radiator Brakes & Tires, Edmonton automotive maintenance, oil and fluids service shop for all your vehicle maintenance services. Regular maintenance such as, oil changes every 5000 kms or 3 months, filter changes and flushes will help extend the life of your engine. A regular maintenance program will also address any “light indicators” should they come on.